Club Penguin – Red Lei Justice! Okay, now we’ll get to the harder bit. The part where justice should be served. You can watch the video or just read the story below it. It’s your choice really, but the video summarizes it – while the text gives the full information about the event. 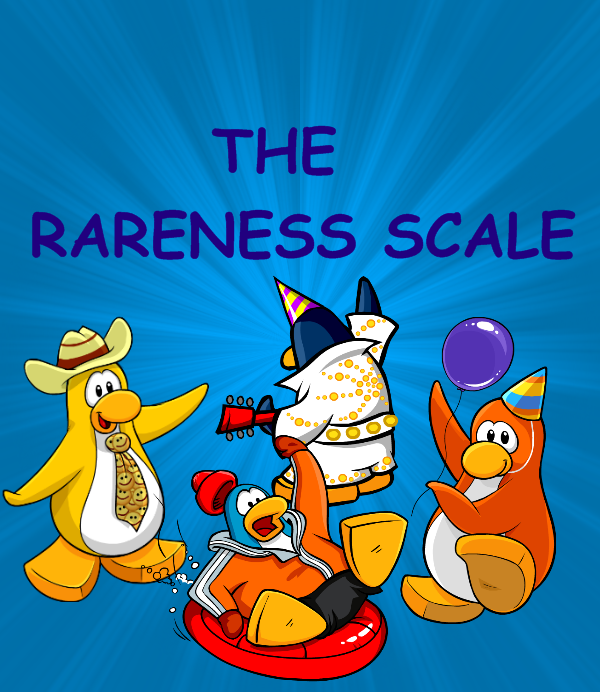 On Monday August 19th, 2013, one of the rarest Club Penguin items from 2006 was mysteriously added to select players inventories who attended Tato Maxx’s Birthday party, which was held on the 16th. Tato Maxx is one of Club penguin’s team members and while the party was advertised, there were no mention of any gifts. In fact, this is the first time any items have been given out at a team member’s party. Team members usually only give out postcards, not inventory items and certainly not rare items. Hope was not lost until CP support informed anyone who e-mailed them over it that CP had no plans of giving out anymore Red leis and that it was a gift from Tato Maxx. Players hoped that CP would make things right and have it available at the ”Teen Beach Movie Takeover party” which started on the 22nd. Instead, what was found was a cheap imitation which players can get on the 26th. Club Penguin’s CEO recently tweeted about drama in the CP community and if they want less drama, this certainly isn’t the way to get it. The community is very upset by this and it has caused a lot of hurt. Hurt by some other players who are bragging and showing off the lei. Also hurt that such a rare item was just given away so randomly and to a select few. The biggest cause for hurt here is clearly Club Penguin for putting the community in this situation in the first place. All we want is an equal opportunity to have this rare item. The petition means no disrespect to Club Penguin or any of it’s team members, the community loves Club Penguin! We as loyal players just want to be treated fairly. Please sign this petition if you believe Club Penguin should in fact give ALL its players an equal opportunity to get this wonderful rare item! We all should be able to have and enjoy this item now during the ”Teen Beach Movie takeover”. That up there (my friends) is the original. 😀 If you’re also looking for the official image of the scale, please wait until the end of the post (or just scroll down if you’re really impatient). The letter ”R” marks the coefficient (or number) of rarity of the penguin player. The penguins are from 4 periods: 2005 – 2006, 2007 – 2008, 2009 – 2010 and 2011 – 2012. The amounts are listed as follows: (2005) Beta, (2006) Extremely Rare, (2007) Very Rare, (2008) Rare, (2009) Somewhat Rare, (2010) Not very Rare, (2011) Not rare, (2012) Not rare at all (aka Noob). In other words: 2005 = 4, 2006 = 3.5, 2007 = 3, 2008 = 2.5, 2009 = 2, 2010 = 1.5, 2011 = 1, 2012 = 0.5; 2013 = 0 (by the way). P.S. – In case you’re wondering, this is only the first edition. The second one will come out in the future. There will be improvements. The Maze (Interactive Game) is finally out! Hey everyone! That’s right – the game you’ve been wanting to see in the past month and a half is finally out in ”Green Productions” and I want to take the time to thank all the fans for supporting me during the making of it; even though there were some problems with my PC recently. Well, here’s the start video guys. Don’t forget to like it and share it with your buddies on Club Penguin please. Greenocool’s Wikia is getting updated daily! Hi penguins. I said something about my Wikia about a week ago in a post, remember? I said that I had recently re-found it and that I was working on making it a better place. I’ve made progress over the past week and I think that it might soon be ready for penguins to see. And you can see the only page that is finished so far, beside the homepage and the help pages. List of upcoming Club Penguin series and shows! ”Pizza Penguin” will be a comedy. ”Ask Green” will include fan questions. Greenocool’s first ever movie will finally end. Documentaries will be on different subjects. History info will be taken from CP Wikia and own sources. Weekly comics will be personally made with some help. The last one will be a surprise. Hello penguins. This post is a basic announcement for my fans and I will make it quick, because I don’t have much time at the moment. I recently had to re-install my computer several times because there were many problems like viruses, crashes, etc. But the second thing is that due to my ”PC problems” I no longer have any video files (or projects for that matter). This immidiately affects ”Green Productions” and my video career. Some stuff are just going to be delayed. Sorry. That’s about it. The interactive game is coming out in a few days (probably 4 or 5), it was intended to come out today or tomorrow originaly. Also, I have a new movie or adventure videos coming out at the end of August and beginning of September. Don’t forget that the ”Summer Jam” is coming to Club Penguin in a few days after all! It’s pretty exciting for me personally. Yes, for the people wondering – it has poor quality (360p), it was audio swaped because I have no editor now. I had to download ”CamStudio” from the web and record something on my laptop. Wish me luck, so things get better soon!